Just Like the Tea Cup rides you would see at a theme park, but right here in South Florida! Riders rotate their own tub to regulate the speed of their ride. 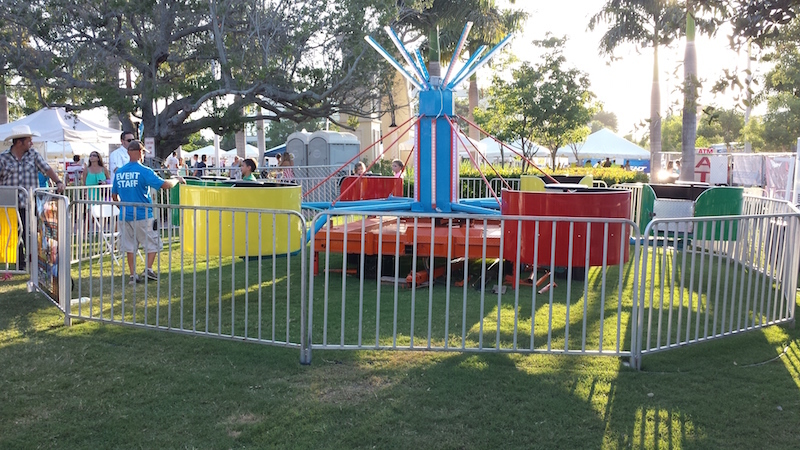 This Awesome mechanical rides up to 12 children at once.